Mmmmm. Orange rolls. I really don't have anything else to say about this delicious looking picture. If you have had an orange roll you will know what I am talking about. If you have not, you should. They will brighten up any breakfast! 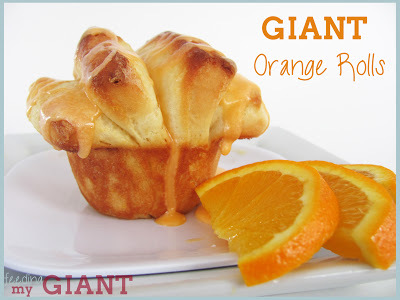 Check out the giant orange roll recipe over at Feeding My Giant.